There are people everywhere in Chicago. And where there are people, there are lines. 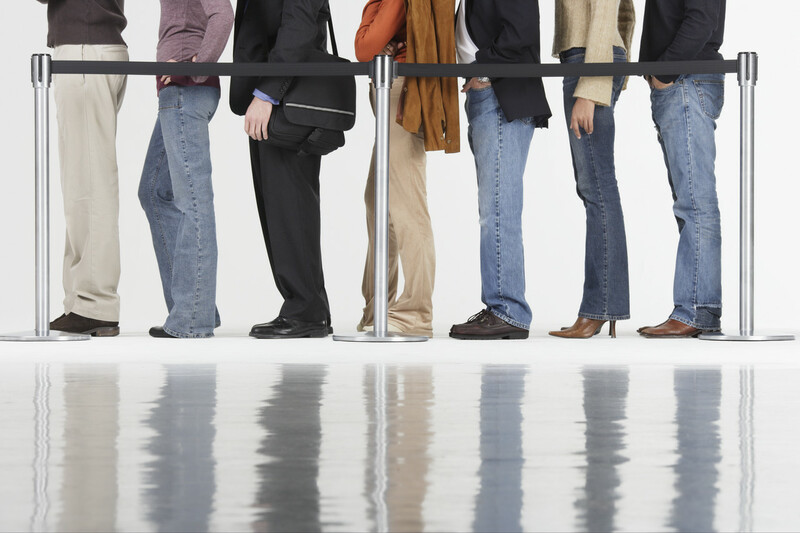 Here are a few of the types of people I can’t stand when I’m waiting in line. Anywhere. It takes me a while to figure out what I want sometimes. But if you’ve been standing in line for at least a few minutes, there’s no reason you should have to hesitate when you get to the front. “Um….” followed by a long pause is NOT something I need to hear when I’m hungry and I picked out my sandwich 10 minutes ago. Get it together! Does the number 4 come with extra pickles? If so, how many? How hot is the hot sauce on a scale of 1-19? How many calories are in the foccacia? Do you know the sodium content of the tortilla? I can’t tell you how frustrating it is to hear this when I’m hungry, and all I want is a number 5 with everything. I don’t care if you have a special request for your order. But do you need to have every special request, ask every question, and make every demand? Perhaps next time ya pack a lunch and save the rest of us. “Give me the tomatoes.” “I want extra cheese”. “Give me an iced tea.” It’s too bad your mother didn’t give you some extra lessons in manners, or you weren’t advised that the person serving you is, in fact, a human being. A please and thank you go a long way in both ensuring you get good service and redeeming yourself as person. You might think it’s cute to have your 2-year old tell the cashier what they want to order, but I assure you, myself and the 5 people standing behind me don’t. We just want to get our food and go. For the love of God, let the adults do the ordering and practice learning words later. Your eyes are glued to your phone, or you’ve got it up to your ear and are enthralled in a conversation about Becky’s relationship problems. The cashier has to interrupt you to ask if you want everything, and tell you the price. So you’re basically saying your conversation is more important than that person’s convenience, and my schedule. And that’s the kind of thing that just burns me. Unless your house is on fire, do us all a favor and tell the person you’ll call back. There you have it. Lines are already a nightmare. Let’s not make it worse. What about the chit chatter? The one who cannot see you are “hAngry” waiting for your sandwich and want to discuss the menu and make recommendations for you but not only do you not want to chitchat, you always order the same thing. Well done. So very true! How can you wait in line for 10 and NEVER look at the menu to pick your order?